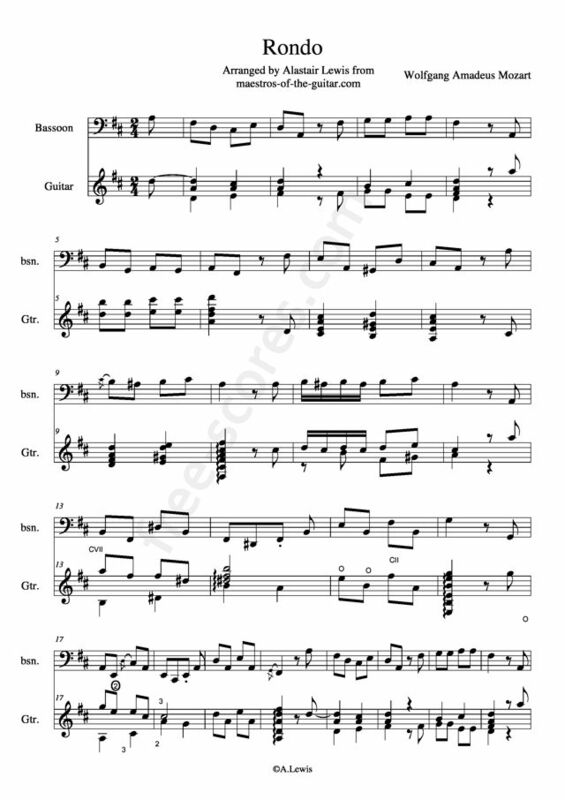 Play along to your hearts content with this downloadable MP3! A prolific and influential composer, Wolfgang Amadeus Mozart was a Austrian composer of the classical era and lived between 27 January 1756 and 5 December 1791. He showed prodigious musical ability from a young age, and learned the violin and keyboard. Form the age of 5 years he began composing, and soon found himself entertaining European royalty. During his childhood he toured extensively wowing the musical world with his skills in cities such as Munich, Paris, London, and The Hague. At the age of 17 Mozart was engaged as a court musician in Salzburg, but was dissatisfied with his position, and traveled to find to find better work. Ultimately he was dismissed from his Salzburg position while visiting the Austrian capital Vienna. In this city he achieved much fame, but little financial security. His total output consists of over 600 works, many of which are regarded as the pinnacles of symphonic, concertante, chamber, operatic, and choral music. This piece arranged for guitar and bassoon duet is in the key of D major. It has an allegro tempo typical of a Rondo. 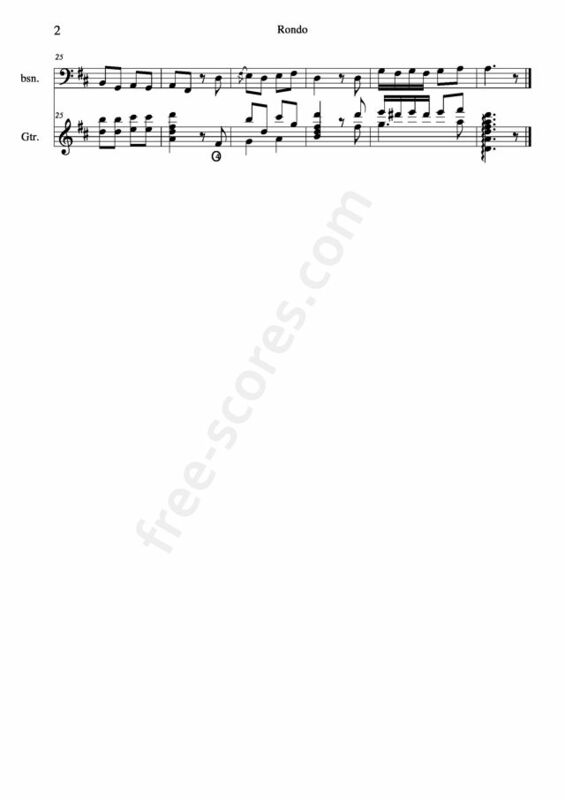 2 scores found for "Rondo Mozart, Wolfgang Amadeus"